Pre Bookings Not Available: Please purchase your tickets from the Bird Gardens ticket office on the day. Please take note that we can only accommodate 200x children per session. *Children under the age of 2 years, do not pay an entrance fee into the bird gardens. 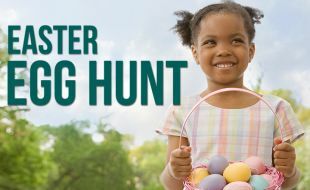 Should the child, however, wish to participate in the Easter hunt, the standard bird gardens entrance fee for a child over 2 years will apply. It’s the only time of the year when it’s perfectly safe to put all your eggs in one basket. Back by popular demand, not one, but five exciting Egg Hunts will bring egg-static sounds of joy to Montecasino Bird Gardens throughout the weekend – with Cadbury chocolate treats, the Easter bunny, and our extremely popular Flight of Fantasy Shows. Come early to make sure you’re among the 200 children hunting for chocolatey treasure each day.